An important part of my job is to stay on top of what’s currently happening in robotics. Given the fast pace in robotics, it sometimes feels more like trying not to drown! A great way to see all the latest trends is to attend a few key conferences. 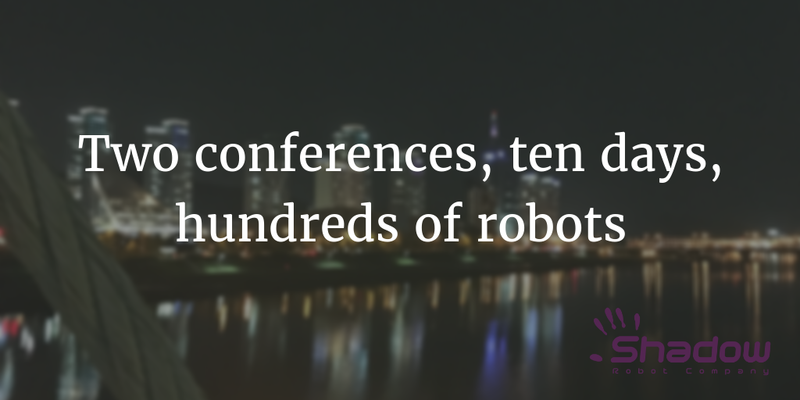 IROS and ICRA are the two biggest robotics conferences in the world and I often go to those. I attend a few other smaller more focused conferences to study precise subjects – such as control theory at the great DLMC conference in Zurich.